Wow. 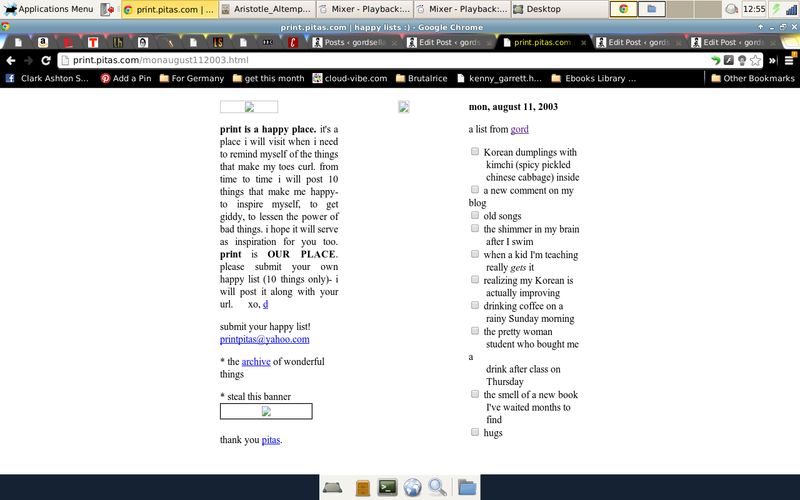 A while back, I submitted a Happy List to the Happy Lists Site, over at print.pitas.com. Today it seems this list has finally gotten posted, for the Monday, August 11th posting. Maybe it’s a reminder to try be a little more epicurean, appreciate the little things a little more and find those unique joys that only dumplings or a a cup of coffee can give one. The background of your site is really beautiful.